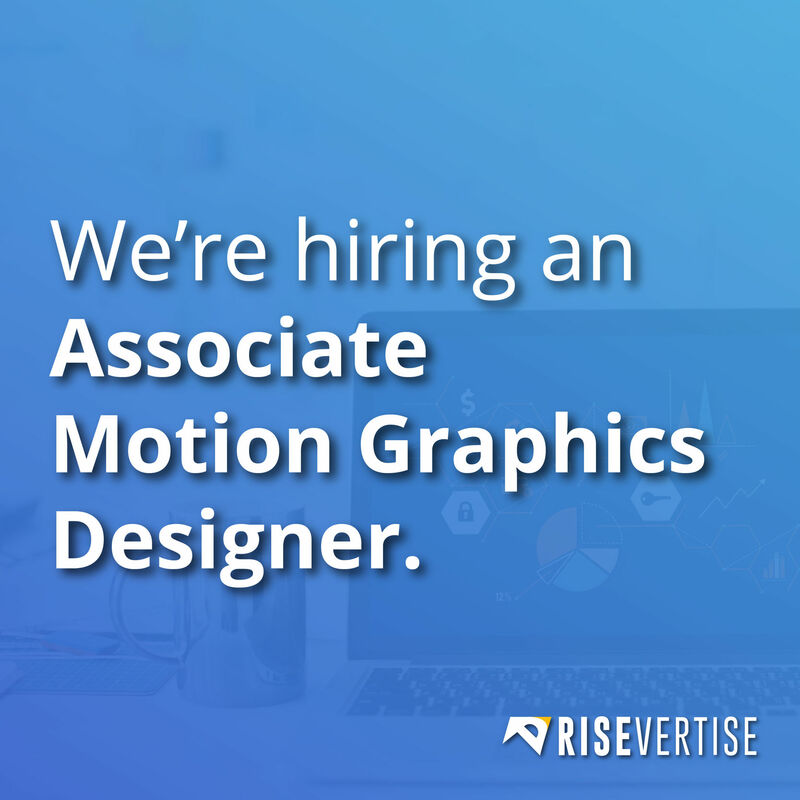 Job Opening: Motion Graphics Intern | Risevertise Media | Visualize, Humanize, Publicize. We are looking for a Associate Motion Graphics Designer, who is able to understand our business requirements and any technical limitations, as well as be responsible for conceiving and conducting design plans, concept and layout for motion graphic project/s and translating them into mock ups and prototypes. Basic knowledge in standard software’s such as Adobe AfterEffects, Adobe PhotoShop, Adobe PremierePro, Cinema4D, Final Cut Pro. Ability to work with clients to understand detailed requirements and design complete experiences that meet client needs and vision. Experience in using design best practices to design solutions, and a deep understanding of mobile & web design. Be passionate about creating creative properties through great design. Be passionate about all things Motion Graphic Design and other areas of design and innovation. Research and showcase knowledge in the industry’s latest trends and technologies.